Mathematics involves thinking about the world in different ways and exercising your intellect like an athlete in training. 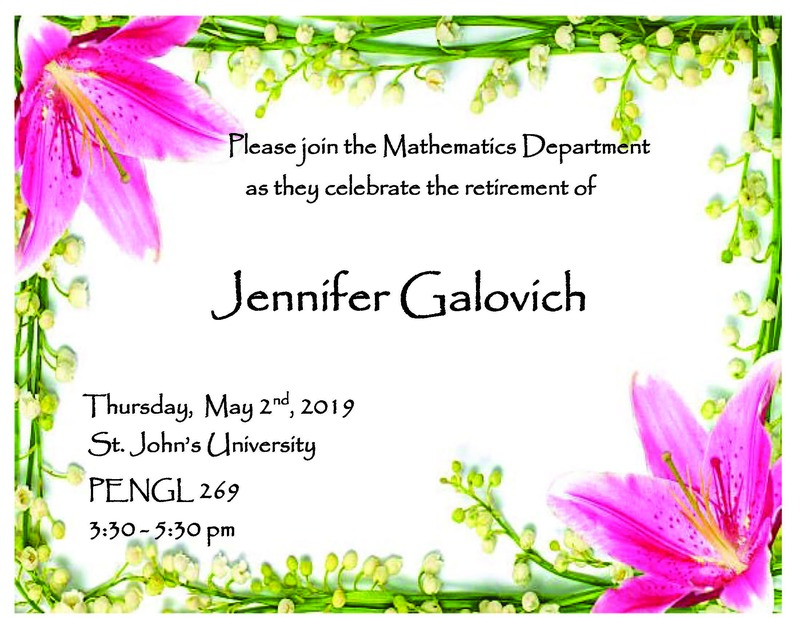 And if you've got math on the brain, we can challenge you with great faculty, intelligent peers and fascinating coursework. Our graduates go on a variety of careers (read this to see why employers love math majors). Many go to work as computer programmers or software engineers, while others take other types of positions at financial or insurance companies. In fact, our graduates who become actuaries have reported that they are better prepared with their mathematics degree than their colleagues with actuarial degrees. Other alumni go to graduate school in mathematics, statistics, economics, education, engineering, law, or medicine. Jonathan Coffin, Lindsey Hoeschen, Jacob Kirsch, and Emily Twardy all did a wonderful job presenting at MathFest. Jake won a Pi Mu Epsilon Speaker Award! 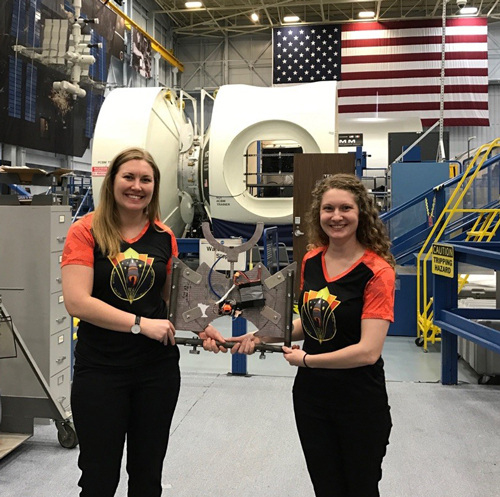 Congratulations to CSB alumnae Kara Ehlert and Emily Dauk for being selected to test student-designed satellites at NASA. You are encouraged to take calculus your first semester. If you aren't sure if you are ready, look through the Calculus Readiness Exam. We emphasize a conceptual understanding of mathematics together with problem solving and analytical thinking skills. Mathematics is considered a core part of a liberal arts education. Each year the department sponsors a Pi Mu Epsilon conference, a forum for undergraduates to present original research. The conference for Spring 2019 will feature Dr. Talitha Washington of Howard University on April 12th and 13th. The Math Society is one of the more active clubs on campus. 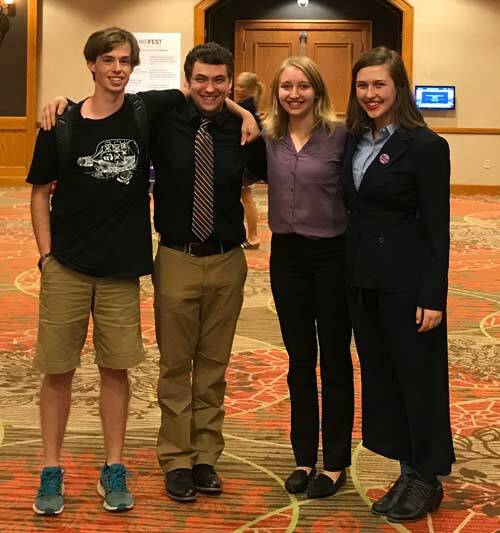 Every year, mathematics students present at the Mathematical Association of America Student Paper Session. Numerous students have received awards at these meetings. Student every year can choose to take our Math Topics course which includes many contemporary and non-traditional undergraduate topics. In recent years courses in Mathematical Modeling, Bioinformatics, Differential Geometry and Game Theory have been offered.